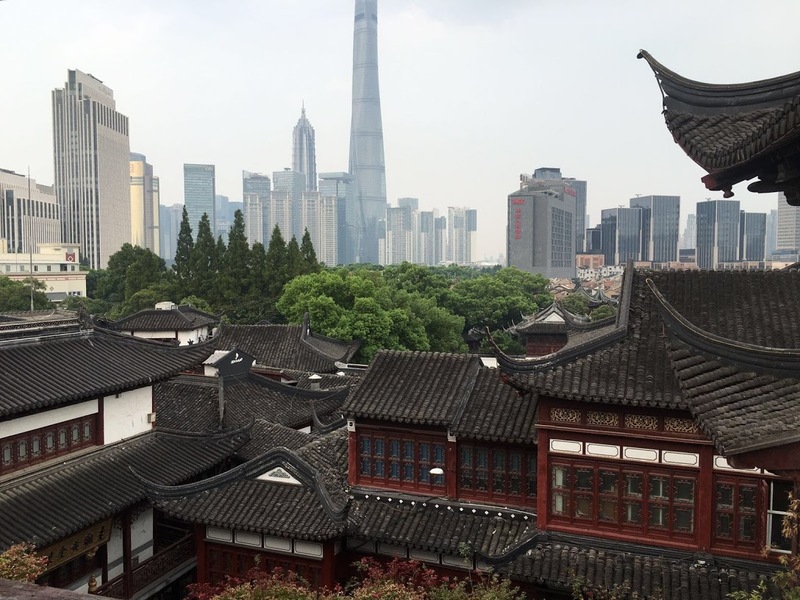 Last week I had the chance to visit China, specifically Hong Kong, Shenzhen and Shanghai. These are my observations of China, completely biased and uninformed, for personal future reference. My conclusion after many many trips, over many years, over most of the country: Almost anything you want to say about China is true. I thought about this tweet a lot last week. Even though I was there for the first time and only briefly, I still can relate to what Kevin Kelly means. To understand this, you must consider the notion of a country first. By most definitions China might not even be a country in a classical sense. Because it is so broad and diverse anything can be true, which explains the quote. But let’s not get into that too much. My visit was to the technical heart of China in the South (Shenzhen) and in the North-East (Shanghai), so my views are based on a well developed part of China. 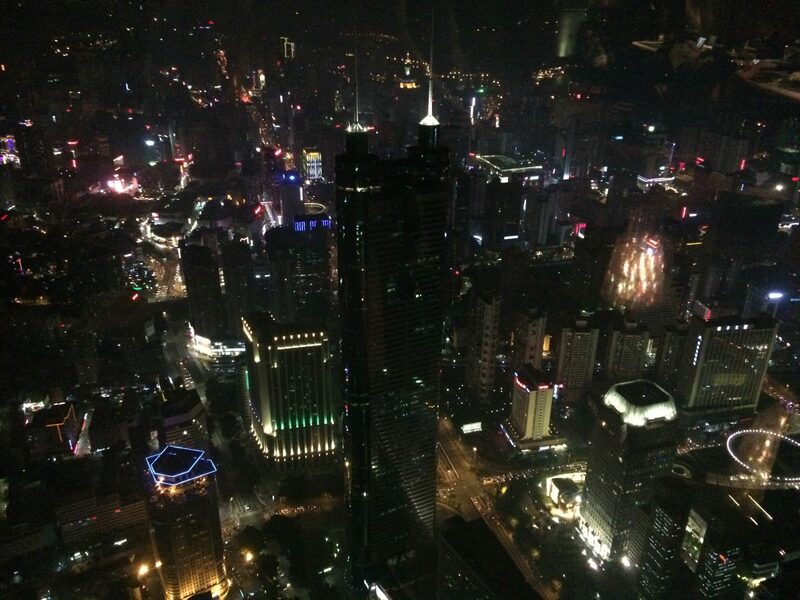 Shenzhen at night or Arkham city? Everything is done by smartphone. Paying, banking, hailing taxis, checking into airplanes. If you leave your phone at home in the Netherlands, it will be a nuisance, but if you leave your phone at home in China, your life stops. The main app that everyone uses for everyting is WeChat. It’s Paypal, Twitter, Facebook and WhatsApp rolled into one app. Google (and therefore Youtube, Gmail, Photos), Instagram, Facebook, Snapchat, Twitter are blocked. Yes, there are ways around it, but I didn’t use those. The internet is a strange place without access to those services. Kind of refreshing. People in China don’t really seem to care, because they have WeChat. Also they have Baidu for search and, oddly enough, Microsoft Bing. But using these services for a week restates the quality of Google Search. Really. The old and the new next to each other (the new doesn’t even fit in the frame). People from Shenzhen do not understand people from Shanghai and vice versa. They have Mandarin for that. So they actually speak completely different languages, which have to be called dialects because calling it languages undermines the unity. The writing; words, sentences have far more in common, so someone from Shanghai can read everything (newspapers, signs) from Shenzhen, but the pronunciation is what makes it different. I was told that because of this most Chinese come a long way in Korea and Japan. They can pick up a newspaper there and read and understand almost everything. Because of the similarities in the script/symbols. But speaking is a completely different thing. So it seems (written) Asian languages start from meaning and then pronunciation. Whereas our/European written languages have it the other way around. First pronunciation and sound, and then meaning. With this in mind, something I wondered for the longest, was explained to me. To type on computers and smartphones Chinese people use pinyin. They write out the words phonetically using our familiar 26 character alphabet and it gets translated to Chinese characters! Go figure! This is a form of romanisation. I was not familiar with this, and it largely made sense. But I kept thinking why not just use the pinyin word!? But it makes more sense if you understand that in communication they try to convey meaning and not sounds. Get it? If you pay attention you pick up quite a few Chinese symbols in a short time, I think I know around 10 now. Problem is there are literally thousands of them. However, with ~1000 you should be able to read 90% of a newspaper. Most Chinese I interacted with had English names. These are self chosen names because their real Chinese names are too hard for the rest of the world. We also hang out with a young Chinese who had a son some weeks earlier and they were still in the process of figuring out his English name. This is kind of a big deal. Sometimes it doesn’t feel real. Last year the stock market completely crashed, but you can’t really tell, everything is bigger, more, higher, huger. 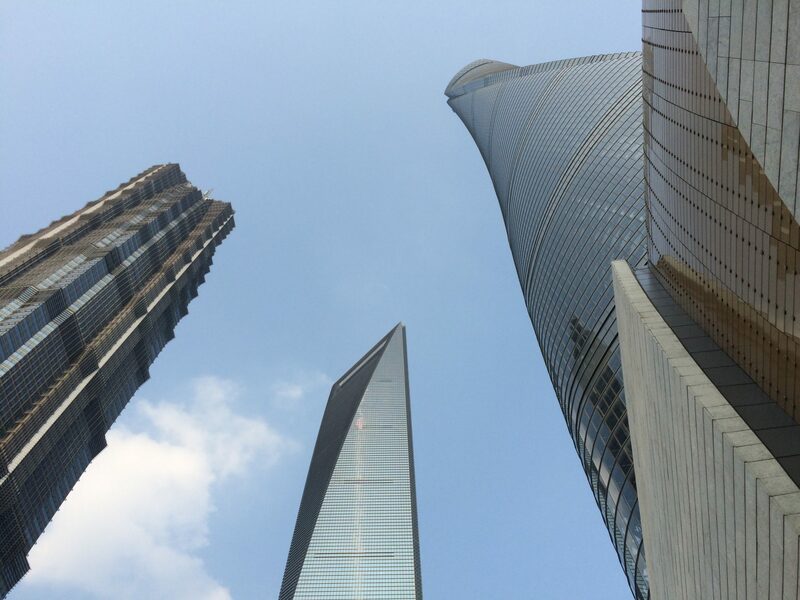 Three of the top 10 largest buildings in the world are in Shanghai. Right next to each other. Everything (that matters) in Shenzhen and Shanghai is basically build in the last 25 years. These cities exploded to 14 million and 25 million people in matter of two decades. Traffic is pretty crazy and chaotic. We encountered multiple accidents. However not big ones, because this is simply not possible if your maximum speed is very slow because of jam packed lanes. It’s clear that China is outpacing the rest of the world. Partly because of one simple asset: manpower. Traffic lights don’t work? No problem, let’s get some traffic cops. Want to dig a canal or build a wall or a skyscraper? Let’s get some people on it. There aren’t that many problems you can’t fix by throwing people at it. And China has plenty. But I expect this to be a problem in the future. For generations the one-child policy (actually more-children-are-fine-as-long-as-you-pay-a-fine-so-only-the-rich-can-do-this policy) has eroded the natural balance. And as people get older it is not uncommon for a young couple to have to take care of four parents (because of Chinese culture and welfare system) in the future. This could be a very big problem in the making. The one-child policy has (therefore?) been loosened the last few years. Also it seems you are either super-rich (like Maybach, Ferrari or Bentley rich) or you are part of the middle class. Very little in between and very little at the bottom. But this was of course just based on two developed cities I visited. Also the national currency seems to be government protected as it is not freely unlimited exchangeable for Chinese people. This literally keeps the currency in the country. But also, doesn’t seem sustainable in the long run. These are just some observations. Apart from that, the Chinese people I encountered were all tremendously nice and polite and inviting. And the cities seem clean and well taken care of (but most of it is all pretty new). Things are changing rapidly in the world and China clearly has the upper hand, but time will tell if they keep it or if we, the West, can catch up.